Don't Miss Out on Senior Citizen Discounts! Don’t Miss Out on Senior Citizen Discounts! Seniors are eligible for many discounts so just ask! As the baby boomer generation ages, the quantity and type of senior citizen discounts has vastly expanded nationwide. 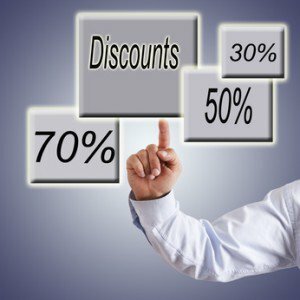 If you’re willing to disclose your age, you can cash in on hundreds of discounts on a wide variety of goods and services from businesses who value you as a customer. One way to take advantage of discounts is to join the American Association of Retired Persons (AARP). For just $16 per year, anyone age 50 or over can join, and add on their spouse to the membership for free. Possession of an AARP card can get you pre-set discounts on everything from airline travel to home security systems. You can visit AARP http://www.aarp.org/benefits-discounts/services_discounts_list/ for a complete list of AARP discounts. The good news is that there are a variety of senior citizen discounts that you can enjoy in addition to those already established through AARP. Below are some of the highlights. Over 100 colleges and universities nationwide offer courses to senior citizens for free or at a greatly reduced rate. You can view the full list at http://www.osherfoundation.org/index.php?olli_list. Southwest Airlines offers senior discounts on airline tickets for those 65 and over. Kohl’s offers those age 60 and over a 15% discount on all merchandise on Wednesdays. The largest operator of movie theaters in the United States, Regal Entertainment Group, offers those 60 and over up to 30% off movie ticket prices. Discounts vary by location. Similarly, AMC Theaters offers those 55 and over up to 30% off, and Carmike Cinemas up to 35% off. Kroger grocery store offers seniors 60 and over a 10% discount on the first Wednesday of every month. Another supermarket, Fred Meyer, offers a 10% discount for those 55 and over on the first Tuesday of every month. United States residents who are 62 and older can purchase a Lifetime Senior Pass to the National Parks system for just $10. The pass gets you free entrance for life into standard fee national lands and parks, and allows you to bring in up to three adults aged 17-61, and an unlimited amount of children 16 and under, for free. The pass also qualifies you for up to 50% discounts on federal use fess for swimming, boat launches, and campgrounds. Bally Total Fitness offers those 62 and over up to $100 off gym memberships. Verizon Wireless and AT&T both offer special $29.99 per month plans for those 65 and over. Great Clips offers $3 off haircuts for those 65 and over, and Super Cuts offers $2 off haircuts for those 60 and over. Senior discounts are often not publicly advertised, so it is recommended that anyone age 55 and over ask a sales associate if senior discounts are available.